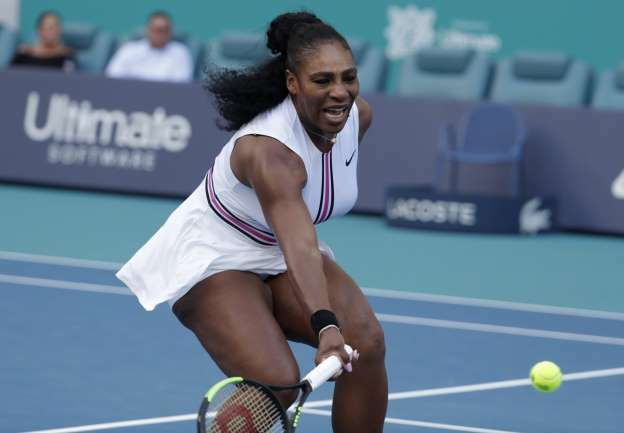 Serena Williams had a tough 3-set match in her first match at the Miami Open and then withdrew with a right knee injury before withdrawing from her second match. She joined numerous other high profile entrants in the tournament who left early, including World #1 Naomi Osaka (who lost to the incredibly frustrating Hsieh Su-Wei), Angelique Kerber (who lost to 2019 Indian Wells champion Bianca Andreescu for the second time in 6 days! ), Elina Svitolina, Garbine Muguruza and defending champion Sloane Stephens also have been bounced from the tournament. On the men's side Roger Federer had a scare in his first match but survived in three sets against Radu Albot, while Indian Wells champ Dominic Thiem was not so lucky and was defeated by Hubert Hurcazc in straight sets. Similarly, Sasha Zverev continues his underwhelming season after ending 2018 on a high by losing to soon-to-be-retired David Ferrer after reaching the final in Miami last year. 2018 Miami Open champion John Isner's title defense is off to a solid start by winning his first match in straight sets.